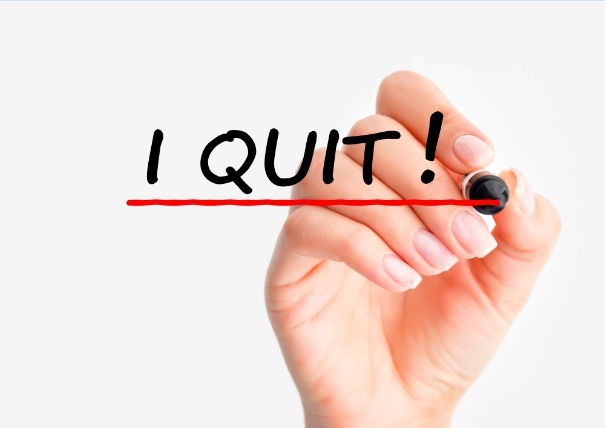 Resignations are part of every workforce. People resign for a variety of reasons and employers, specifically HR managers, are left with the difficult task of finding suitable replacements. The process of recruiting a new employee is challenging because it involves considerable company resources. Imagine how much time and money the company stands to lose in training alone, not to mention the additional investment required to take the new employee to the level comparable to the previous person who held the position. It is always sad to see valuable employees leave for whatever reason. The impact to the day-to-day performance of the company can cause a huge setback that may take weeks or even months to recover. Hearing people say “I QUIT” isn’t new. Hearing it them from people you least expected to hear it from can be shocking. Imagine how difficult it is and how huge the impact will be if extra-ordinary personalities around the world announce they’re quitting. That’s exactly what happened when the following high-profiled personalities announced their resignation. To say that it rocked and shocked the world would be an understatement. Richard Nixon, the 37th President of the United States of America announced his resignation from the Presidency on August 8, 1974. Nixon’s fall from grace and eventual resignation made history as he was the first President to ever resign from office. Mounting evidences pointing to his involvement in the Watergate scandal coupled with an almost certain impeachment trial left Nixon with no option but to leave and resign from his office. Nixon explains his decision to step down from the Presidency in an excerpt from his conciliatory address on national television. Nixon served as Vice President of the United States of America from 1953 to 1961 before winning the Presidency in a landslide election and serving as President from 1969-1974. Best Buy CEO Brian Dunn stepping down from his post following a mutual agreement with the company about the need for new leadership, would have been a favorable end to an amazing 28-year stint with the ailing electronic retail company. Unfortunately, news of personal misconduct with a 29-year-old employee involving frequent lavish meals, tickets to events, and private time in his office, raised serious doubts about the reputation of the man who devoted almost 3 decades of his life in helping Best Buy remain competitive. Pope Benedict XVI shocked the entire world when he announced he was resigning from his post effective February 28, 2013. He was the first Pope to resign in nearly 600 years of Roman Catholic history to vacate the ministry citing old age. Speculations about the real reason of the Pope’s resignation fueled the internet for days but more importantly, it saddened millions of devout Catholics from all over the world. Pope Benedict XVI’s successor, Pope Francis was elected as the new Pope on March 13, 2013. Steve Jobs, the visionary who founded Apple, one of the world’s leading Tech company announced his resignation as CEO in April 2011. Jobs stepped down from his post citing he “could no longer meet (his) duties as CEO.”. Jobs had been battling pancreatic cancer for years and was on leave as early as January 2011 before finally succumbing to the illness in October that same year. Jobs is credited with the creation and introduction of the iPhone, the iPad, and the iPod, products that helped turn Apple away from the brink of disaster and into a tech company that rivaled and ultimately overtook Microsoft in the marketplace. Tim Cook succeeded Jobs as the CEO of Apple. Posted in Resignation by vimonmass on September 8, 2014 .